Tianwan Nuclear Power Plant is China-Russian nuclear energy cooperation project, which is the largest technical and economic cooperation project so far. Since the commercial operation of Units 1 and 2 in the first phase in 2007, the Tianwan Nuclear Power Station has cumulatively generated more than 160 billion kWh of electricity, which can be used by 100 million Chinese households for one year. With the construction of the second and third phases of the Tianwan Nuclear Power Station, Weihua Crane has also frequently installed on the site. 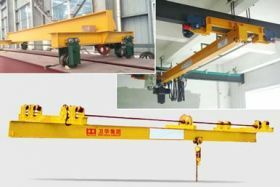 Recently, Weihua's 80/20t bridge crane for AC plant at Unit 6 of the Tianwan Nuclear Power Station has been in the installation and Weihua is about to serve Tianwan Nuclear Power Station again. 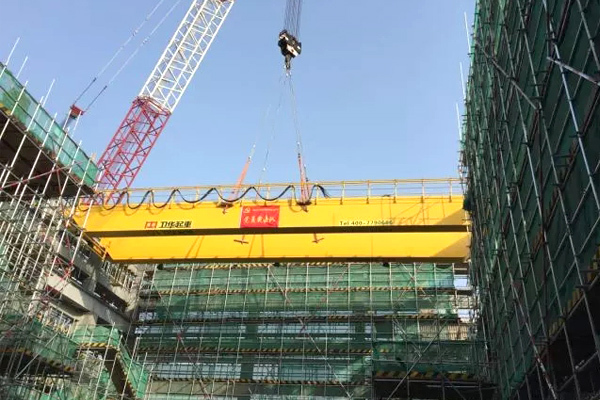 At 17:30 of March 28th, the 80/20t high position bridge crane for AC plant (radioactive repair workshop) of Units 5 and 6 was finished the installation, which creates conditions for the construction of the follow-up AC plant, and the installation of the main pump assembly platform. At present, the No. 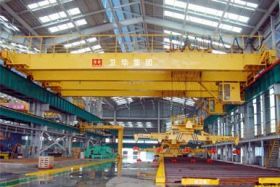 6 ring crane, rail beam, dome roof assembly and internal installation are under processing, and the construction site management pressure is very large. If the AC plant is installed on the site at the same time, it will affect the working of 1350T crawler crane for the dome. In the face of site difficulties, the engineering company for Tianwan Project made full use of the time difference, completed the installation before the installation of the ring rail beams, and the work was completed in a safe and efficient manner. 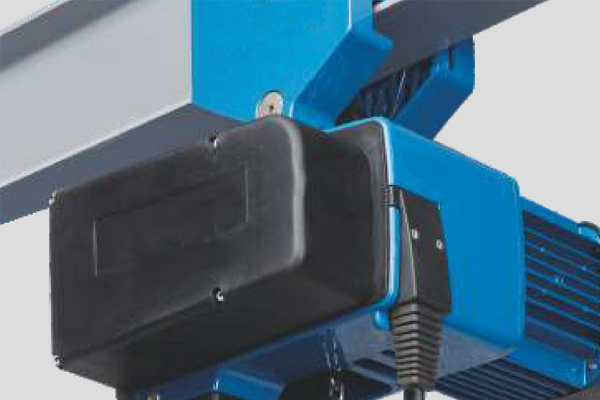 Click to know more about Weihua Nuclear Power Station Crane.